The resort presents a juried artist showcase of six artists every day and three every evening in a rotation that ensures constant variety of paintings, glass, ceramics, wood, jewelry, and more. The artists displays are as exquisite as the art itself, plus you have the opportunity to meet the artists and in many cases observe them at work. Browse through a display of sculptures, paintings, photography, wood turnings and ceramics from select local artists. Located in our retail area, in front of Cafe Kula. 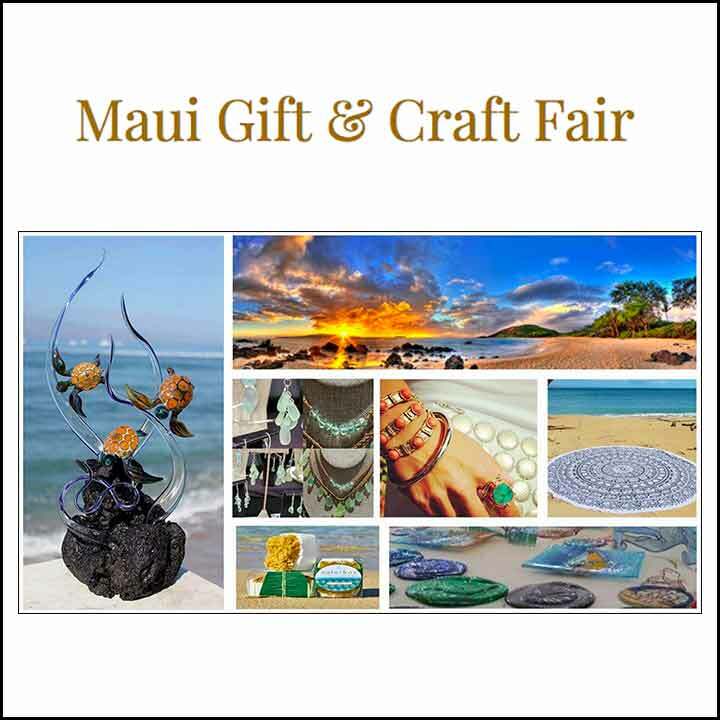 Welcome to Maui Gift & Craft Fair, Sunday Funday at Lahaina Gateway! For many years the Lahaina Civic Center Craft fair was held almost every Sunday at the Lahaina Civic Center. Due to the renovations we are relocating the Maui Gift and Craft Fair to the Lahaina Gateway. Please come and visit this wonderful Lahaina Craft Fair at the new location and all the wonderful art, jewelry, gifts and crafts.